Cooks love to bake and create festive meals during the holiday season, but they also deserve some special treats along the way. 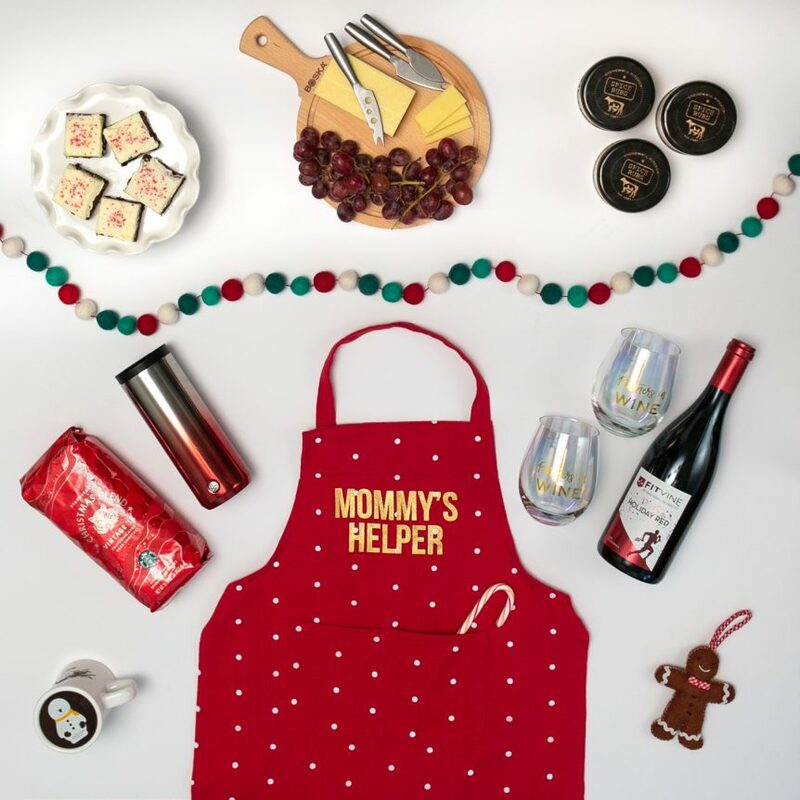 Gift your favorite home chef with one of these holiday helpers. Stonewall Kitchen Rub Collection, $18.50. Make their mouths water with these three hand-blended spice rubs. The Carolina’s Rub is a spicy-sweet blend that pairs well with meat and vegetables. The Maine Seafood Rub is versatile enough to work in chowders, with steamed shellfish or in stews. The brown sugar-based, smoky Texas Rub is amazing on brisket or any cut of meat. Paper Source Partners in Wine glass set, $20.00. When the roast has been roasted and the latkes have been fried, it’s time to sit back and enjoy some chill time. These stemless iridescent wine glasses elevate the moment and are perfect for sharing with your sister, mom or book club friend. FitVine 2016 Lodi Holiday Blend, $23.99. This limited-edition bottle is rich and robust, with notes of chocolate and dark fruits. Amazing with a special meal or just a long night of chatting while you wrap presents. They’ll appreciate that FitVine’s wines are lower in sugar and higher in antioxidants thanks to their proprietary fermentation process. Paper Source Mommy’s Helper Apron, $19.95. Encourage the littlest cooks on your list to keep experimenting with this jolly red apron. The ties have fun white pom poms on the ends and the top strap is fastened with velcro for easy transition to playtime. There’s also a matching version for grownups. Godiva Holiday Hot Chocolate Toppers (6 pieces for $12). Elevate their hot chocolate game with this sweet gift set. Warm, rich hot chocolate can only be topped with one thing–more chocolate! These delicious discs are made from dark chocolate and are decorated with santa or a happy snowman. They sold out online, but you can still find them in Godiva stores. Find a boutique near you. Starbucks Christmas Blend ($14.95) and Red Glitter Ombre Stainless Steel Tumbler ($19.95). Those holiday cookies aren’t going to make themselves, and bakers can find themselves staying up to the wee hours to get it all done. Give them the essential gift of coffee with Starbucks’ famous Christmas Blend, which combines cedary and sweet notes. They can keep it hot for up to 4 hours wherever the day takes them with this glittery 16-ounce tumbler (both items available in-store only). Stonewall Kitchen Peppermint Bark Brownie Mix, $14.95. Even seasoned bakers need a go-to mix when unexpected company is coming (or expected company stays longer than planned). These fudgy brownies have just the right amount of peppermintiness (yes, it’s a word) and make an amazing treat post snowshoeing or ice skating. Whole Foods, Cheesemonger’s favorite tools, around $20 (similar styles at Boska). Perfect for your fromage-loving friend, this handy set includes a round wooden cutting board and three stainless-steel cheese knives. The oiled beech wood is anti-bacterial and the knives are dishwasher-safe, making anytime a great time for a cheese board!